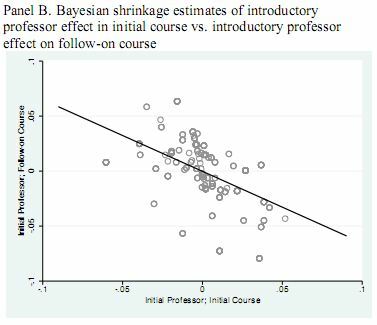 Appearing in the same issue of the ASR as the Condron article I previously discussed, Robert Crosnoe publishes evidence that lower income students suffer some negative academic and psychosocial consequences from attending higher income schools. He uses propensity score weighting (no silver bullet, but probably the best methodology you could ask for with this data) in an attempt attempt to reduce possible confounding due to different students selecting into different schools. Putting that issue aside, my question is, how are students’ academic and psychosocial outcomes changing over time? Most of the outcomes Crosnoe uses (GPA, negative self-image, social isolation, depression) are measured more than once. He is predicting the later measure, which is appropriate, but why not run models with the lagged dependent variable?